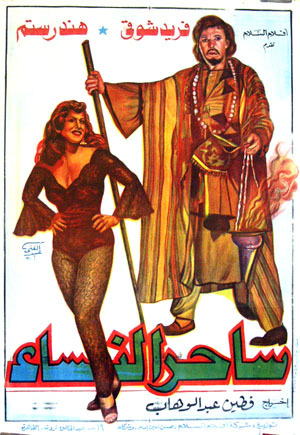 This film is based on a story by Naguib Mahfouz. Plot summary: After serving time the swindler got out of prison and tried to acquire a sum of money concerning whose location his cellmate had informed him. He finds the hidden cash by posing as a conjurer and tricking the ones who have it so he can steal it from them. He uses the funds thus acquired to become a swindler of a higher class, posing as a spiritual researcher who cures people by invoking intervention by spirits with curative powers. His cellmate is released from prison, finds him and accuses him of not keeping his end of a bargain they had made concerning the information the cellmate had given him. The swindler is arrested and at the end of the film he is back in prison again.